The company could be fined up to $13.7 billion for the 2010 Deepwater Horizon disaster. A US JUDGE has rejected oil giant BP’s bid to cut the potential $13.7 billion (€12.1 billion) fine it could be hit with for the catastrophic 2010 Gulf of Mexico oil spill – the worst in US history. The company tried to have the penalty trimmed from $4,300 per barrel spilled to a maximum $3,000 per barrel after it was ruled negligent for causing the environmental disaster. US District Court Judge Carl Barbier previously ruled BP was liable for the leaking of 3.19 million barrels after the Deepwater Horizon drilling rig blowout, which killed 11 workers. That figure was less than the US government’s estimate that 4.19 million barrels of oil were spilled, an amount which would have put the maximum fine in the civil case at about $18 billion (€15.9 billion). BP has already agreed penalties and payouts of over $40 billion (€35.3 billion) for the spill including a $14 billion cleanup bill and $4.5 billion settlement with the government to resolve criminal charges. Last year the company reported an underlying profit of $12.1 billion (€10.7 billion), only slightly down on the 2013 figure of $13.4 billion (€11.8 billion). The court is yet to decide the full civil penalty the oil company will have to pay in the case, which was brought under the US Clean Water Act. Last year, the US National Wildlife Federation found the spill had done long-lasting harm to the populations of dolphins, sea turtles, tuna and other animals that lived in the affected region. The spill lasted for 87 days before the oil well was finally capped and it was estimated over 1,500km of the county’s coastline was contaminated during the fallout. 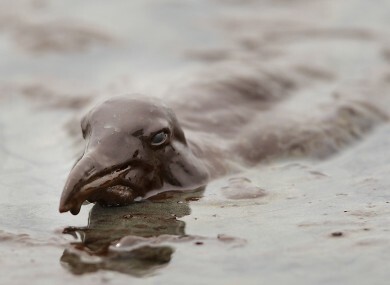 Email “BP is still fighting penalties over the worst oil spill in US history”. Feedback on “BP is still fighting penalties over the worst oil spill in US history”.